25/6/2016. Sunday Post. Andrew Cawley. GV pics of the Royal Highland Show, at Ingliston, Edinburgh, including pics of the public toilets there, where traces of cocaine where found inside. Location: Edinburgh. 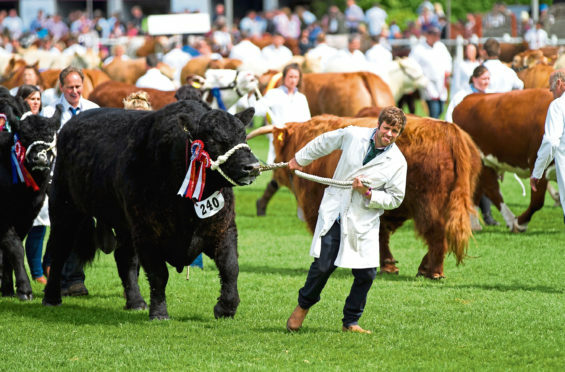 The letter, published on social media, focused on the recent departure from the RHASS of show manager David Jackson, and the number of staff who have “left” RHASS in recent months. “The departure of so many experienced staff in such a short timescale needs to be questioned,” stated the letter. The letter also raised questions about staff health and stress issues and the cost of severance payments for those who have left. Signatories included leading north-east sheep breeder Harry Sleigh, of St John’s Wells, Fyvie, who described himself as a “very concerned RHS member and long-term exhibitor”. “Something has obviously gone very wrong with the society in the last one to two years and that’s extremely worrying for those of us who love the show and all it stands for,” he said. A spokeswoman for the RHASS said: “We are concerned at the level of misrepresentation levelled at RHASS by a small number of individuals who are seeking to discredit the society. RHASS board members are scheduled to meet next week, and a statement on the situation is expected on Thursday.